Giuseppe Conte is Italy’s newest prime minister. Editor’s note: Italy managed to form a government after briefly slipping into political crisis, which sent markets around the world into a panic as investors fretted about the fate of the European Union. The crisis began on May 27 when the political party that won the most seats in March elections initially failed to form a government. Economist Bruno Pellegrino, who has previously written on Italy’s economy, explains what’s going on and why it matters. 1. What’s driving the political chaos? The March 4 election dramatically tilted the balance of power in the country. It was a true political earthquake: The Italian electorate resoundingly rejected the political establishment that has held power since the mid-90s in favor of populism, as happened in the 2016 U.S. presidential election. The biggest issues were growing concerns over the euro and immigration. That’s in part because Italy is a major hub for migrants from Africa, an issue that has been a major challenge for the EU. Behind these problems, however, lies an economy that has barely grown in decades. A third of 20- to 34-year-olds are unemployed, and Italy’s debt is at over 130 percent of GDP, which is extraordinarily high. The big winners of the election were the populist Five Star Movement and the nationalist Northern League. Neither party had previously held significant power. Five Star, which alone snared a third of the vote, has been in opposition since forming in 2009. And the anti-immigrant Northern League was mostly just a minority shareholder in the center-right coalition. Although none of the three major coalitions managed to win an outright majority, Five Star and the Northern League were allowed to try to form a government. Italian president, Sergio Mattarella, has the power to reject cabinet appointees and opted to veto proposed Finance Minister Paolo Savona, prompting the crisis. 2. 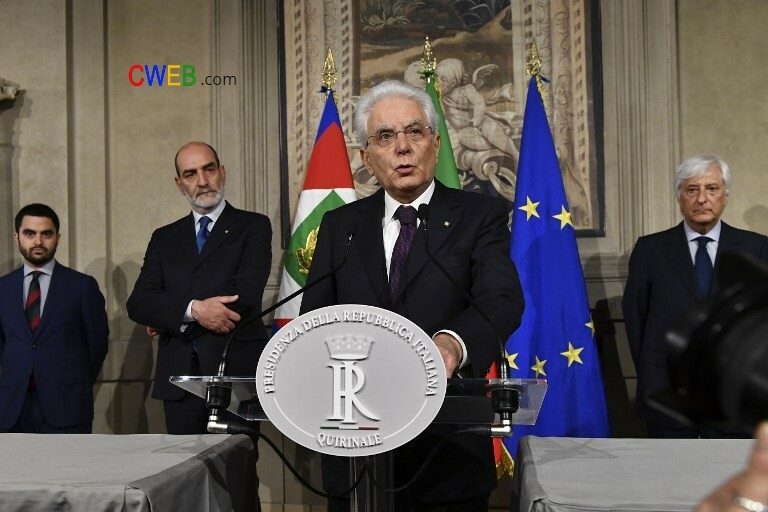 Why did Mattarella torpedo the would-be government? Savona, a professor who called Italy’s adoption of the euro a “historic error,” is seen as sympathetic to the idea of leaving the common currency. In explaining his veto decision, Mattarella argued such a move was not brought up during the electoral campaign. Moreover, the draft of a “government contract” between the Five Star Movement and the Northern League was leaked to the press. The document proposed canceling some of the Italian debt currently held by the European Central Bank, which shook financial markets because it’s basically telling banks and other lenders that they might not get their money back. As a result, some commentators began sounding the alarm over a potential debt crisis for Italy – which would also reignite the sovereign debt crisis that has rattled Europe since 2008. While I believe it was inopportune and extremely premature to talk about a debt crisis before the new government was even formed, that was enough to send the yield on Italian bonds skyrocketing to a four-year high. Mattarella has come under a lot of fire for this decision, but it is probably unfair to blame him for trying to prevent a debt crisis. He found himself in a “damned if you do, damned if you don’t” type of situation. The political situation basically pits democracy against debt. The president denied the two parties that got the most votes a chance to lead on their own terms. At the same time, talk of leaving the euro and canceling debt puts Italy’s position as a reliable debtor into question, which could have severe repercussions. Italy bond price developments in the final days of the talks clearly indicate that investors are uncomfortable holding Italy’s debt while a government is in power with an agenda of renegotiating Italy’s debt, leaving the euro or both. Hence, Italy faces the bleak dilemma of either becoming insolvent or giving up democratic representation. That’s the conundrum President Mattarella had to face. To complicate things further, there are few safety nets available for Italy: It holds the most public debt in the eurozone – and the third-most in the world, behind the U.S. and Japan. If Italy finds itself unable to refinance its debt, a rescue would require a coordinated effort of the International Monetary Fund, the EU and possibly Europe’s central bank. That would probably come with harsh conditions. After the veto, Mattarella gave a former IMF official and euro-supporter a mandate to form a temporary government – which was resisted by virtually all political parties. But now leaders from Five Star and North League are again set to lead a coalition government, with the little-known lawyer and academic Giuseppe Conte at its helm, after backing down and agreeing to a more euro-friendly choice for the Finance Ministry. The new government faces an extremely arduous task. Italy desperately needs a government that can devise an ambitious long-term strategy to tackle its large public debt, sluggish productivity growth and high youth unemployment.